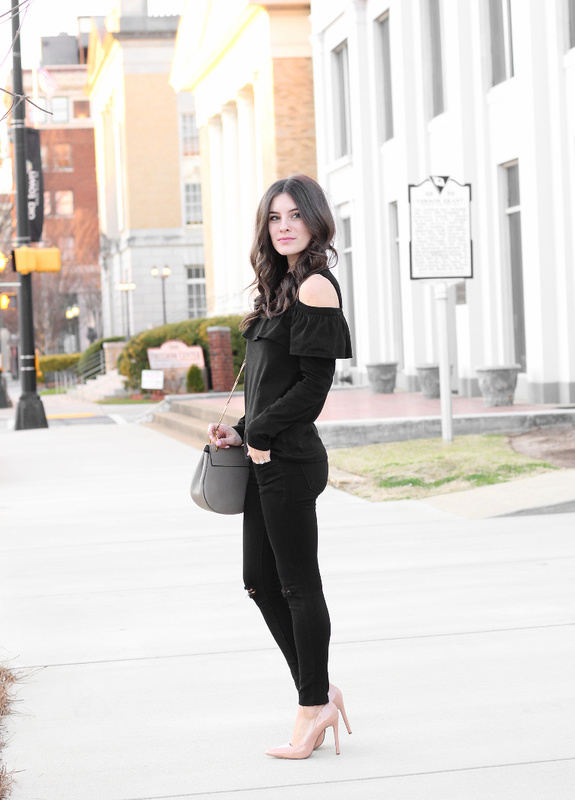 this cold shoulder and ruffle trend going on right now. 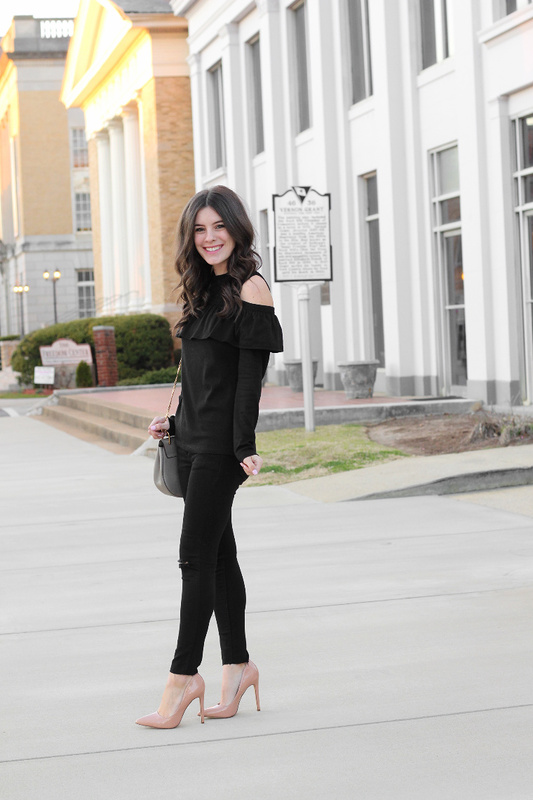 I feel like I'm seeing more and more of these two trends coming together and I am loving it!! 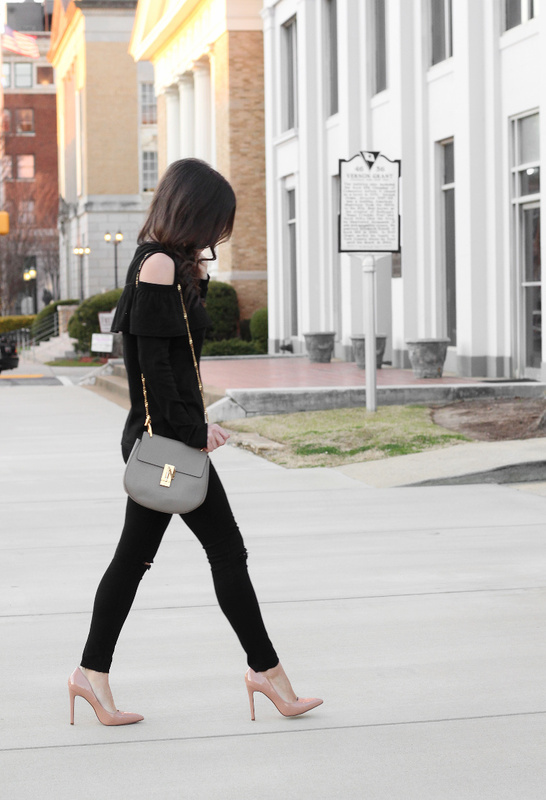 This top is more like a tee shirt material but looks way more dressy paired with heels and black pants. 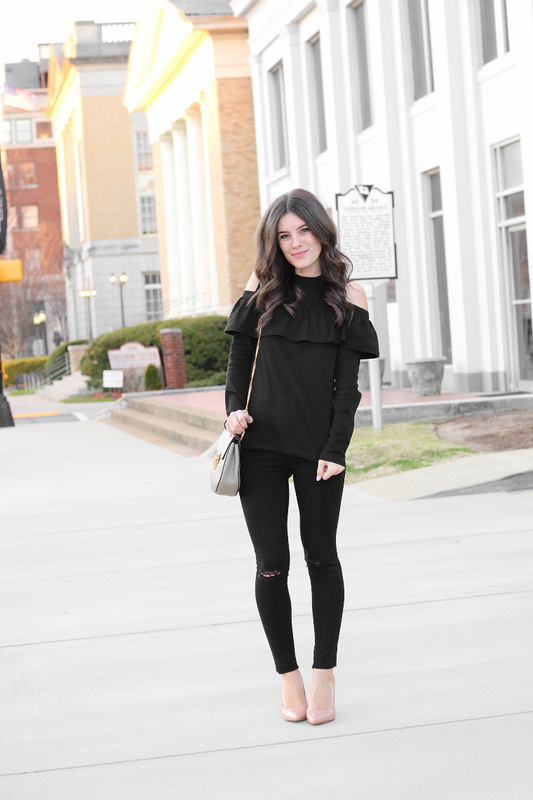 The ruffles and cutouts make it such a flirty top. It's also only $13 and I really think it's worth every penny! I can see myself wearing it with shorts as it gets a little warmer or with white pants.